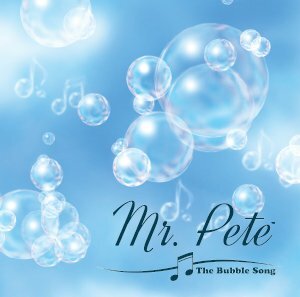 Peter Maggitti (Mr. Pete) has been successfully guiding young children through music for over thirty years. He has created a fine balance of education and entertainment in his music programs while working within the curriculum of the schools that host the “Mr. Pete” programs. Peter teaches kindergarten and pre-school children valuable lessons in an innovative, unique way so they learn while laughing and having fun. 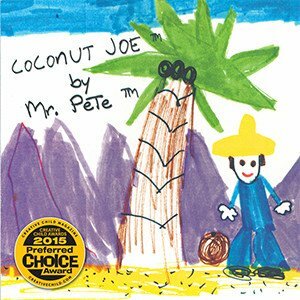 It is pretty easy to understand why children take to Mr. Pete. His voice and smile are reminiscent of everybody’s favorite neighbor Mr. Rogers. Peter loved music as a child and began studying piano in elementary school. While teaching himself guitar in high school, he realized his talent as a musician and songwriter. Peter decided to pursue a career in music. He has been performing for audiences since he was 14 years old, when Peter sang in his first rock and roll band, The Electric Sound. Peter attended Community College of Philadelphia then transferred to Temple University College of Music. While studying elementary music education, Peter discovered that he loved working with children ages six weeks through nine years of age. Hence, Peter realized the need for an organized forum for exposing children to music at a very young age. Fresh out of Temple University, he began teaching music in a Bucks County, PA pre-school where he became known as “Mr. Pete.” However, he had a strong desire to reach more children. 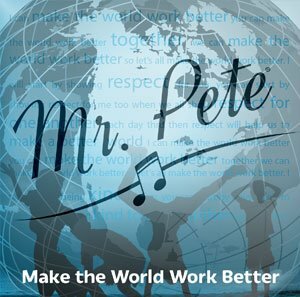 Thus, Peter was inspired to develop two music curricular programs: the “Music Time Program” and the “Music Appreciation Program.” As a result, “Music Time with Mr. Pete” was born. The “Mr. Pete” programs are structured to reinforce the current lesson plans to support the curriculum at each school. The children, laugh, learn, and have fun, while appreciating the value of music. Together with his wife Joyce, Peter developed the “Children’s Music Funshops.” The “Funshops” are three independent, age-appropriate, hands-on music programs. Mr. Pete has an innovative way to teach kids music. He says it should be fun. Peter currently teaches at several schools each week, delighting numerous children, teachers, parents and grandparents with his entertaining style of instruction. In addition, Peter provides private music instructions to individual students – pre-school through high school. Peter has volunteered as the Contemporary Music Director at his church for ten years. Peter has been writing songs and musical pieces since his early childhood, starting with some “little ditties” he put together when he was just five years old. His repertoire consists of numerous children’s songs, an environmental operetta, contemporary inspirational hymns, love ballads, and some very personal, healing pieces. He is a master storyteller, weaving wonderful tales around fictional characters that he creates. Peter has proven to be an exceptional writer and director of children’s musical performances. Mr. Pete is committed to his goal of enriching children’s lives through music. He encourages future generations to discover their potential skills and talents. This is one of the most rewarding facets of his career. As “Mr. Pete”, Peter Maggitti truly appreciates the opportunities and blessings his career path has provided, enriching not only the children’s and their families’ lives, but his own life as well.